35 cards. Inserted 1:4 packs. 15 cards. Inserted 1:4 packs. 10 cards. Cards feature lip imprints from featured WWE Divas. 22 cards. Inserted 1:24 packs (one per hobby box). Cards drawn by Jerry Lawler. 10 cards. Inserted 1:6 packs. Looks at CM Punk's best WWE matches. 10 cards. Inserted 1:6 packs. Cards reprint pay-per-view posters. 25 cards. Contains piece of canvas from Wrestlemania XXVIII ring. 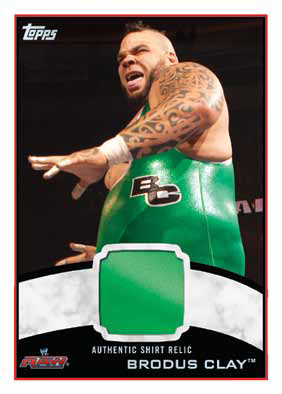 2012 Topps WWE is the promotion's flagship wrestling product of the year. With a deep base set and tons of inserts, the set has blossomed in recent years. Every 2012 Topps WWE hobby box comes with two hits and 22 additional inserts. The base set has 90 cards. It consists entirely of current superstars and Divas. 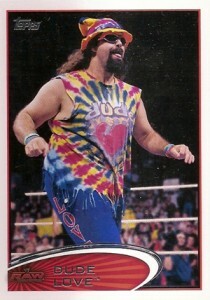 Card 7, Mick Foley, has three variations, one for each of his wrestling personas: Cactus Jack, Dude Love and Mankind. Foley also wrote the card backs for the entire base set. Gone are the WWE Legends, which have been a staple for years. However, these retired stars still play a role in the release, though. The base set design mimics the look of 2012 Topps Baseball. Base set parallels include Blue (1:6 packs), Gold Foil (1:24 packs) and Black (#/50). Hobby packs also have randomly inserted one-of-one Platinum parallels and Printing Plates. Every 2012 Topps WWE hobby box comes with a Shirt Relic and either a Wrestlemania XXVIII Mat Relic or an autograph. Shirt relics comes with a piece of an event-used top. The checklist has more than 20 wrestlers, including John Cena, Randy Orton, Dolph Ziggler and Daniel Bryan. The mat relics come with a piece of canvas from the ring used at Wrestlemania XXVIII. Both relic sets have Black parallels that are limited to 50, and hobby-exclusive Platinum parallels (1/1). The Superstar Autograph lineup is one of the strongest yet. The checklist includes a pair of current A-list wrestlers who haven't signed much: Chris Jericho and Triple H. Although Jericho signed for two Topps sets in 2010, his signature was still tough to come by. 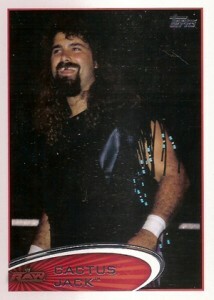 Prior to that, his only other autograph was in 1998 Topps WCW/NWO. Triple H. has had an autograph card since 2002. He was originally intended to have one in 2010 Topps WWE, however redemption cards were replaced by John Cena signatures. Other 2012 Topps WWE Superstar Autographs include Mick Foley and Booker T.
Old school wrestling fans should get excited by the Classic Hall of Famers Autographs. 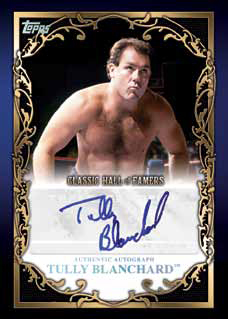 It represents the largest group of legends' signatures in a Topps WWE set to date. Among the signers are Terry Funk, Koko B. Ware, Tito Santana, Don Muraco, Nikolai Volkoff and "Mr. Wonderful" Paul Orndorff. These autographs are a partial parallel of a 35-card Classic Hall of Famers insert set (1:4 packs). What would a wrestling card set be without some Divas? 2012 Topps WWE has several of them. Divas Class of 2012 Autographs include Kelly Kelly, Beth Phoenix, Lilian Garcia and Alicia Fox. Five Dual Autographs are exclusive to hobby packs. Pairings include Jimmy "Superfly" Snuka with his daughter, Tamina, tag team members Primo and Epico, and Four Horsemen members Tully Blanchard and Barry Windham. 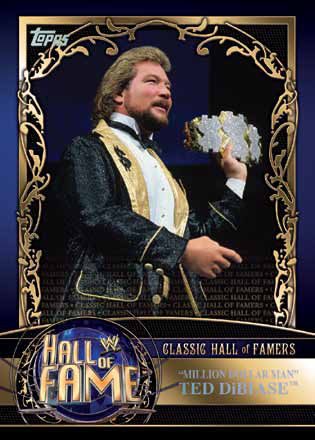 2012 Topps WWE has a pair of additional high-end inserts. Ten Divas Kiss Cards come with lipstick impressions. This is the first time that Topps has produced Kiss Cards, although they date back several years. Fleer did them when they made WWE cards a decade ago. TriStar has used them in their TNA products and several Bench Warmer sets have used them. Exclusive to hobby packs are Jerry Lawler Sketch Cards. The wrestling legend and long-time announcer is also noted for his art. 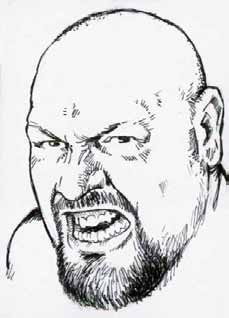 He has contributed a very limited amount of sketch cards for 2012 Topps WWE. Besides Classic Hall of Famers, collectors can chase several other basic inserts. Divas Class of 2012 (15 cards, 1:4 packs) is all about the ladies of the WWE. 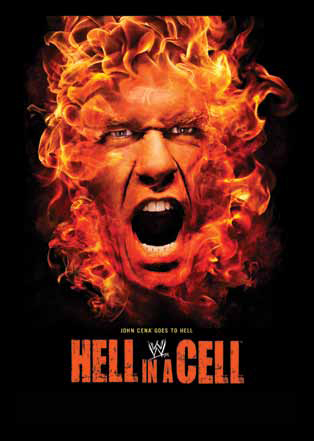 World Class Events (10 cards, 1:6 packs) showcase some of the most stunning pay-per-view posters from events between Wrestlemania XXVII and Wrestlemania XXVIII. Foil-stamped First Class Champions (20 cards, 1:6 packs) celebrate multiple generations of WWE World Champions. Although he hasn't gotten his ice cream bars yet, CM Punk is the subject of his own ten-card insert set. Top Class Matches - Punk's Picks (1:6 packs) highlights his greatest WWE bouts. 2012 Topps WWE hobby boxes have 24 packs of seven cards. Every pack includes six base cards and one insert. 2012 Topps WWE Naomi Autograph Card. New & Mint. I bought these a few days ago at Walmart, even though from what I can find online they aren’t supposed to be out yet… Anyway, my issue isn’t with the quality of the cards. 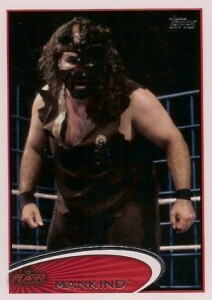 They are fairly nice cards, with good pictures and interesting commentary from Mick Foley. My problem with the cards is the terrible pack breaks. As far as I can tell, the cards are not randomized, at all. Instead, they are packed in a preset order. For instance, if the first card you find in a pack is Kane, the second will always be William Regal, followed by Tensai, followed by McIntyre, and so on. I saw this pack twice. If, however, the first card is Aksana, then the second will be Kane, followed by Regal, etc… This was bad enough that my wife was able to tell me the first card in some packs, and I was able to tell her each other card, until the special insert in the pack, which IS random. To test it, I recorded the pack breaks, the second time I bought cards, and it held true. I don’t know if this was intentional on Topps’ part, or if it was an accident, but I was very disappointed nonetheless. As I said, though, the quality of the cards is quite good, and I enjoy Foley’s commentary, which is of a somewhat personal nature. Missing in this checklist are the parallel purple foil (border) and red foil (border) for the base set. Smumdax (ID 62030) � Thanks. Were the Reds exclusive to Target? I think I might have read purples were in jumbo retail packs? I really don’t know about the Reds. As for the purples, I’ve probably got one in a jumbo pack (if you mean the 2-packs thing, with 21 cards in it). And get this: I saw a “silver border” on eBay today… this is getting really complicated. John (ID 62291) � Thanks! Have either of you had the same issue with the pack breaks that I have, and have you ever seen that in card sets before? The only non-CCG cards I’ve ever collected have been WWE, and I’ve never seen anything like that before. marcus � Thanks for the heads up. The card has been added. Today I received 3 black borders, bought via eBay. Would you agree that this is probably the hardest parallel set to complete, because of the #/50 ? I mean… if there are 50 crazy collectors like me in the world, then I’m screwed. Got a good batch of cards to add to my series. This is actually the only series I actively collect. I got what I believe to be a Platinum parallel, and also in the lot, I received something called “Topps Vault”, but I don’t quite understand what it is. It is sealed by Topps, with a blank backside, a holographic “genuine” seal, noted 1/1. numbered 011310 and with an accompanying COA. Topps Vault sells 1/1 blank backs direct on eBay for most of the Topps sets.